What are the most intimate activities that you do on a daily basis? What are the next-most intimate activities you do each day? Probably bathe and dress, drive to and from work, walk your dog, work out, etcetera. These are activities that are important, often routine, and you typically do them on your own. You don’t broadcast them to the world or share them. If you do share them with anyone, it’s a spouse, a significant other, or a very close friend. So … then why are Demian and I talking to you about content marketing while you shower? And why is Robert Bruce telling you a story while you take your pooch for an afternoon walk? And why is Sonia Simone answering juicy questions while you sweat and struggle through a treadmill workout? That’s the power of podcasting. First, podcasts have a voice. Not the “voice” of a blog post, like we often talk about. But a real, live, human voice, with subtleties of inflection, emotion, and emphasis. It’s this voice that breathes life into the content. Second, podcasts go where you go, when you want to go there. You don’t have to plan your life around podcasts. You plan podcasts around your life. Podcasts are convenient. Which is why you invite them places other content cannot go. Which is why podcasts connect in ways that other content cannot do. Contrast the power of podcasting with videos, which can also connect. But videos have the most demanding egos of any content medium out there. They want all of you. Videos shout, “Stop whatever you’re doing and focus solely on us! Eyes and ears over here!” Prideful bastards. Podcasts, on the other hand, don’t need every ounce of your attention. They ask, “What topic would you like to hear about? When? Where? By whom? Just hit play, go on about your normal business, and we’ll be happy to oblige.” Like a humble friend. That’s why podcasts are there while you brush your teeth, while you wash the dishes, and while you mow the lawn. Because they work on your schedule. They move with you. And text isn’t much better. You can’t read and do something else; you can only take a break from the something else and read. But life is lived on the move. Podcasts move with you. Which is why podcasts present such a great opportunity for you to move your audience. I cannot tell you how many times my mind has been blown by a connection I’ve made thanks to podcasting. Sitting at my home in Dallas, Texas, where I podcast about a sports team based in Bloomington, Indiana, I’ve received emails from Romania and Brazil over the past few months from people who feel intimately connected to the show’s community. When I first got to Romania (1991), I couldn’t find out ANYTHING about how my beloved Hoosiers were doing for weeks or even months! To paraphrase Fitzgerald, it was like moving from the warm center of the universe to its ragged edges. God Bless the Internet! I have been actively following my deeply beloved Hurryin’ Hoosiers for more than 53 years. I say this as preface to this: it means A LOT to me what you guys are doing. And I want you to know I appreciate it very, very much. Thank you, from the bottom of my heart. These are just two of the many hundreds of people who show up for each of our live broadcasts, which then get turned into podcasts that are listened to by thousands of Indiana fans across the globe. Let’s see … a Dallas-based podcast about a sports team in Indiana that has audience members in Brazil, Romania, and elsewhere across the globe, including handfuls of folks who have now started requesting the ability to donate so they can support our work. God bless the Internet indeed, Michael. All of us who create content online sell something. And no matter what you sell — a product, a service, an experience, information, an idea, yourself, something else — you need your target audience to know you, like you, and trust you before they’ll buy it. Podcasting is the best way I have found to build the know, like, and trust factors online across a broad audience. What better way can you think of to get people whom you don’t know to know you, like you, and trust you, than to get your voice into their heads during some of the most intimate moments of their days? This is the unfair advantage of connection that podcasts possess. It’s why I recorded an audio version of this post in addition to the text version, because I know it will create a better connection between you and me than you just reading my words on a flat screen. Stop letting someone else speak directly into the ears of your audience. That voice should be yours. And fortunately for all aspiring Showrunners, so too is the path. Are you ready to start a podcast? 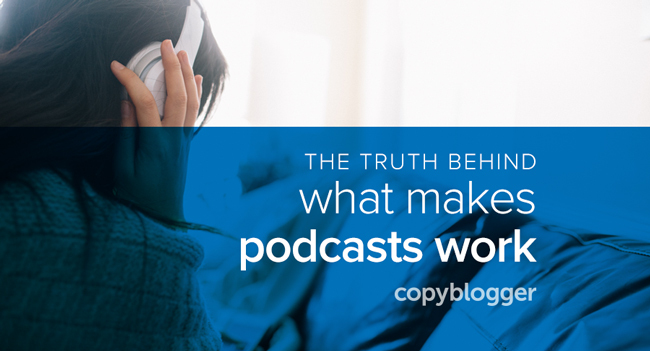 Do you want to build a remarkable podcast audience? Then you need to deliver a remarkable audience experience. And we want to teach you how, for free. Join The Showrunner email list today and immediately start receiving our free content series The 4 Essential Elements of a Remarkable Podcast, plus you’ll get information about The Showrunner Podcasting Course and other useful updates.